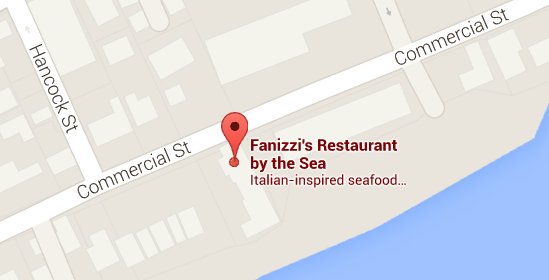 Fanizzi’s Restaurant by the Sea was founded by Paul Fanizzi in 2003. Paul Fanizzi grew up in Brockton, MA and first started working in the restaurant industry with his best friend from high school. His friend’s parents owned Thai Restaurants in Brockton, MA and Paul started out as a bus boy and moved up to be a waiter. Paul went to Roger Williams University and graduated with a degree in Business Management. 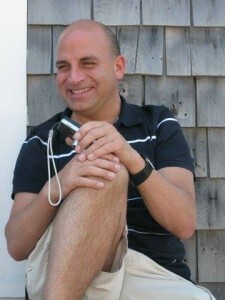 His first real restaurant management job was at the Salty Dog Restaurant in Faneuil Hall in Boston from 1994-1998. He was the General Manager. From 1998-2001, Paul then worked at the Cambridge Common Restaurant as the General Manager. After one year as GM, he was promoted to the Comptroller Directer of Operations for the owners, who also owned Christopher’s Restaurant in Porter Square, Cambridge, MA. They opened an upscale bistro across the street from the Cambridge Common Restaurant, in which Paul helped from construction to the opening. Paul heard from a friend that Pucci’s Restaurant in Provincetown was for sale, so Paul visited Provincetown to look at the restaurant in January 2001. It wasn’t much to look at because it was boarded up for the winter. He put an offer in, and they accepted it. Paul has now been in Provincetown for 15 years. Fanizzi’s is a favorite with both tourists and locals. Fanizzi’s Bayside dining room boasts 180 degree views through three walls of windows that look upon Cape Cod Bay, Provincetown Harbor, North Truro, and Truro. “Do you see whales?” is a common question. Yes we do. We’ve seen Humpbacks, North American Right Whales, Minke Whales, and Finbacks. We also see Atlantic White Sided dolphin, and a lucky few have seen Ocean Sunfish, Basking Sharks, and giant sea turtles. 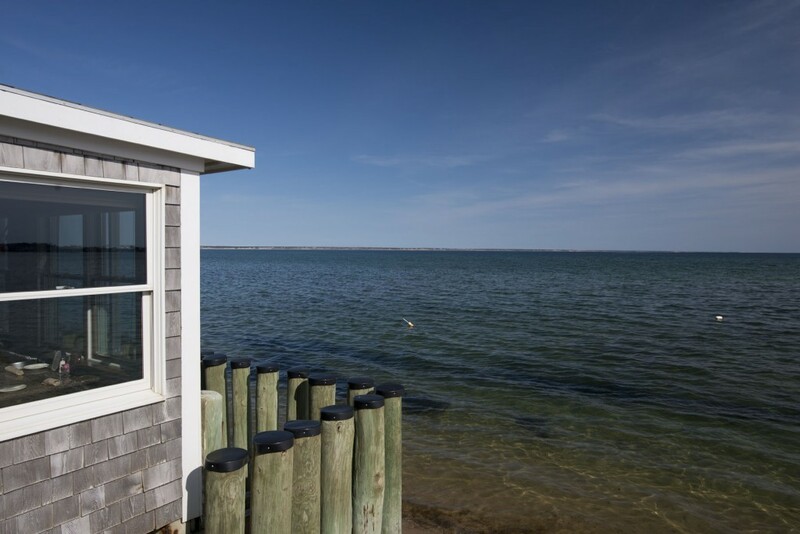 Guaranteed sightings are the stunning views of Cape Cod Bay, MacMillan Pier, and the dunes that welcome visitors to Provincetown. Our views are the subject of many paintings of Provincetown. High tide comes under the dining room twice daily. Guests often comment that they feel like they are eating in the dining room of a cruise ship. If you’re lucky – and brave – enough to join us for a Nor’Easter, you might get to experience waves crashing under the dining room and on the windows surrounding the dining room. See our page for The Storms to see more photos and video. Amazing views complement fabulous food and a menu with something for everyone. From burgers, nachos, and wings to our famous Fried Fisherman’s Platter, fresh seafood and steak dishes, and pasta like Mom’s, we have something for every appetite. Year in and out – and year ’round – we invite you to join us and our staff for dinner, drinks at the bar, Sunday brunch, lunch, or coffee and dessert. We welcome you as new friends, and we look forward to seeing you as “regulars”. We look forward to seeing you at Fanizzi’s Restaurant by the Sea!